It was in news since April 2008 that Google is updating it's algorithm. I was keeping eye on the SERP's and haven't experienced such changes till date. As a routine I check my blog/website rankings for my key targeted terms like "Search Engine Marketing Professional", "Internet Marketing Experts", "Online Marketing Experts", "SEM Expert", "SEO Experts", "Interactive Marketing Professional", "Ethical SEO Expert", "Google SEO Expert" and many more. maintain such rankings from last 1 year. But today surprisingly when I checked the rankings everything was up & down. I experienced the drastic downfall in my rankings. On 16th July, 2008 Google Fellow Amit Singhal has explained the google ranking algorithm and after that it seems, Google was updating its Algorithm as results are varying drastically on Site Indexing as well as on keyword popularity beside the SERP result for particular site. I am aware - Google constantly updates SERP's results, constantly indexed the URL's, content to improve the algorithm, but this time Google Update has made a bigger impact. I know I will again regain the positions by closely analysing & implementing the latest algorithm updates. Overall current updated is more severe and willimpact the other business on larger scale. I noticed discussion at many SEO Forums with people either complaining or praising a major shift in their rankings over the past 2 days. Major website owner's are complaining the same of loosing rankings to greater extent. It's time to study in detail and apply SEO strategies with full force. I know Google is kind and will reward me again for my Ethical SEO practices. Wish to achieve my rankings back as soon as possible. If anyone else has also experience the same, do share your views, have you seen positive results or not. KNOL is Open to Everyone - Google has officially Launched KNOL. Few months ago Google has announced that they were working on a new product called KNOL. KNOL is a shortform derive from KNOWLEDGE.Knols basically are authoritative articles about specific topics, written by people who know about those subjects. The web contains vast amounts of information, but not everything worth knowing is on the web. An enormous amount of information resides in people's heads: millions of people know useful things and billions more could benefit from that knowledge. Knol will encourage these people to contribute their knowledge online and make it accessible to everyone. Google has officially launched the KNOL on 23rd July, 2008 and is now available to everyone. KNOL is definately going to be succesfull product from GOOGLE which is somewhat similar to Wikipedia. Google Celebrates Marc Chagall birthday and displays it on his Search Home Page as on 7th July, 2008, So here comes Google new logo in honor's to Marc Chagall - the great artist’s Birthday. 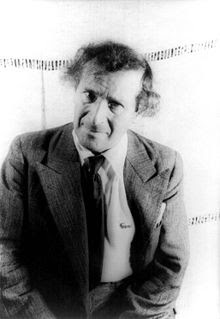 Marc Chagall was born Moishe Shagal (Shagal is a dialectal, North-Eastern Yiddish variant of the surname "Segal"); his name was rendered in the Russian language as Mark Zakharovich Shagalov. Chagall was born in Liozno, near Vitebsk, Belarus, the eldest of nine children in the close-knit Jewish family led by his father Khatskl (Zakhar) Shagal, a herring merchant, and his mother, Feige-Ite. This period of his life, described as happy though impoverished, appears in references throughout Chagall's work. Currently the Shagal's house on Pokrovskaya Street in Vitebsk is restored as part of the Marc Chagall's Museum. Continuing Google's new innovative way of displaying logo based on special event's for particular day. Previously we have seen Google honoring "Theodore Harold Maiman", "Walter Gropius", "Sir Edmund Hillary" logo's adding to this we have now "Marc Chagall" logo's. On 16th May 2008 we saw "Google Laser Logo-Theodore Harold Maiman" to honor the invention of First Laser by Theodore Harold Maiman. On 18th May 2008 we saw "Architectured Building Logo-Walter Gropius" to celebrate 125th Birthday of the Great German architect, Walter Gropius. On 29th May 2008 we saw "Mount Everest Ascent Logo-Sir Edmund Hillary" celebrate the 55th anniversary of Sir Edmund Hillary. Today on 7th July 2008 Google displays “Marc Chagall Logo celebrating” great artist painter Marc Chagall. Enroll to Top Rank Blog RSS feed to receive all latest updates.